A new brain study reveals that focusing on mindful eating may be an effective solution to combat childhood obesity. The obesity rates among the U.S. population is quite alarming and becoming more concerning, especially among today’s youth. Childhood obesity rates have doubled over the last 30 years and rates have tripled among adolescents; this is leading to increased risks of metabolic syndrome, type 2 diabetes, heart disease, osteoporosis, and non-alcoholic fatty liver disease. Not only is this obesity epidemic a cause for concern in the physical health of youth, it has severe consequences for their mental health as well. Overweight and obese children are at an increased risk of social stigmatization, low self-esteem, social isolation, and bullying, which can have several ramifications for confidently entering and succeeding in the adult world. Furthermore, combating weight gain and maintaining a weight loss as an adult is extremely difficult. Studies have shown that about 90% of people engaging in behavioral changes to reduce their weight will return to their original weight within three years. This is partially due to your body’s homeostatic compensatory mechanisms but also has a lot to do with changing behavioral patterns engraved in specific brain regions that are associated with response inhibition, impulsivity, and reward. Response inhibition is the ability to override a planned or already initiated response and impulsivity is poorly conceived risk or inappropriate actions often resulting in undesirable consequences. Many studies evaluating the neuro-imaging of adult brains have significantly contributed to a better understanding of obesity. However, children’s brains continue to develop until early adulthood and therefore these results cannot be applied. The most common behavior among immature adolescent brains is often impulsive behaviors. 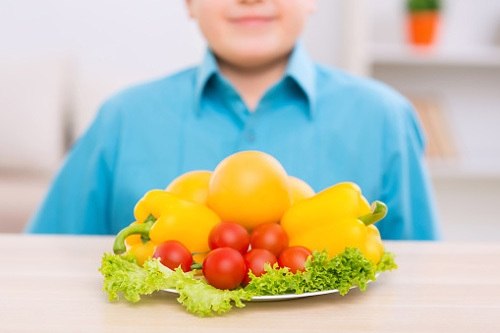 Studies among youth have demonstrated that differences exist between obesity and children of healthy weight, especially among the brain regions that were assessed in this study. Being more mindful of your eating patterns and being able to control your intake may be a more promising approach in combating this epidemic. Researchers from Vanderbilt University aimed to better understand the mechanisms associated with the signaling and functioning of different regions within the brain and the role this plays in achieving more sustainable weight loss and maintenance treatments among children. The study included 38 children between the ages of eight and 13, with data collected from the Enhanced Nathan Kline Institute Rockland Sample. Researchers evaluated eating behaviors among children using the Child Eating Behavior Questionnaire and children’s weights were measured. MRI scans were used to evaluate the functioning and signalling of the different brain regions needed for this study. Findings revealed that increasing food approach behavior scores, which included enjoyment of food, food responsiveness and emotional overeating, were associated with overweight and obesity status. Further, decreasing food avoidance behavior scores, including slowness in eating and satiety responsiveness were also associated with overweight and obesity status. Understanding and identifying the imbalances between the different brain regions, provides insight for developing sustainable weight loss treatments that go beyond engaging in healthy eating habits and increased physical activity. Perhaps further studies should focus on the needs to be placed upon changing brain function, as well. Chodkowski, B.A., et al., “Imbalance in resting state functional connectivity is associated with eating behaviors and adiposity in children,” Heliyon, 2016; 2 (1): e00058; doi: 10.1016/j.heliyon.2015.e00058.